Buying pianos: Tips and advice for buying acoustic upright or grand pianos. What to look for, think about and how to best take care of your instrument. When buying pianos, the acoustic instruments usually come first to mind. Acoustic pianos consist of two main groups of instruments: Upright Pianos and Grand Pianos. What kind of models and brands should you look at, and what type of piano would suit your needs? The upright acoustic piano is available in many sizes, models, brands and prices. You can choose between either a brand new, a refurbished or a used second hand instrument. Buying pianos that are older and of high quality can be a good investment if the instrument has been well maintained and cared for. An upright piano is a great choice for smaller rooms, as it doesn’t take up so much space as a grand piano does. Spinet: 35" - 37" (height) Spinets are the smallest of the upright pianos. It is good for small rooms, but also has a softer sound due to its size and how it is built. Console: 40" - 43" The console is larger than the spinet, and has a larger sound. It comes in many choices of styles and finishes. This is a popular instrument for the home. Studio: 44" - 47" Since the Studio Piano has a larger soundboard and longer strings it also produces a louder sound. It is a popular choice for example music schools. Full Size / Professional: 48" - 60" This is the typical upright piano with rich tone and lasting quality, if maintained and cared for properly. A Grand Piano is The Ultimate Instrument for most Pianists! Grand pianos come in different sizes, from the small Baby Grand to the “limousine” like Concert Grand. When buying pianos, one should always consider the space of the room where it will be put, not just for the space the piano needs, but for the sound it produces! The choice of an acoustic piano is very personal, depending on what tone quality and touch you prefer. The pianos are also very different individually depending on many factors; like where, how, by whom and when they were built and how they were kept and cared for. Even if a piano looks great on the outside, and if you are not buying a grand piano from a reputable store; it is advisable to hire a professional piano technician to judge if the instrument is in a good shape inside as well. 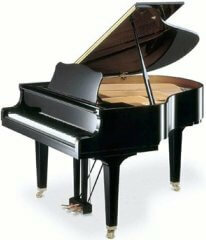 Baby Grand: 5' 0 - 5' 6" This is the most popular grand for home use. It has a great sound but still fits in a regular room at home, and is of course very beautiful! Living Room / Classic / Parlor / Medium Grand: 5' 7" - 6' 4" As the name implies this is an instrument suitable for a larger space at home, like a larger living room. Fantastic sound, but it is not meant for small rooms. Professional / Semi-Concert Grand: 6' 5" - 7' 5" Unless you have your own very large music room, this is a grand piano suitable for smaller concert halls and in music schools, and was not made for home use. The sound is too powerful. Concert Grand: 7' 6" - 9' +The largest of all the grand pianos, this is for the concert halls only. The "limousine"! There are some more things to consider when buying pianos. Acoustic pianos in general are very heavy, and needs professional piano movers when moving. It needs to be tuned once or twice a year, depending on how much you use it. A new instrument needs to be tuned twice a year until the wood has matured enough to hold the tuning. An older well maintained piano should be tuned once a year to keep it in a good shape. All acoustic pianos are also sensitive to humidity, dryness and temperature changes. If you live in a very humid or dry location you need to ask your piano technician what is the best way to make sure your piano manages well. You need to keep a steady temperature in the room where it is kept, as well as avoid too much draft. 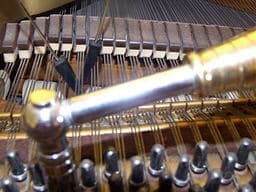 So, when you are buying piano and consider getting an acoustic piano, you need to find a good piano technician. My first upright piano, a Yamaha U3- is a fantastic instrument! It might not have been so fantastic if it wasn’t for the brilliant piano technician I had. He tuned it absolutely perfect each time- a real virtuoso. He weighted the keys to my liking with lead to get the right “feel” as I desired, and made the tuning get exactly the kind of “brilliance of tone” I wanted. I made sure it was tuned twice a year the first years, and then once a year as recommended. The piano then lived with me through my very bohemian student years- having to be moved around everywhere, once even up side down- Eeek! Finally being transported in a crate to another country, and then moved again! Poor piano. And still- after all that, it hardly needed any tuning! It is still my best instrument and used daily in my studio. 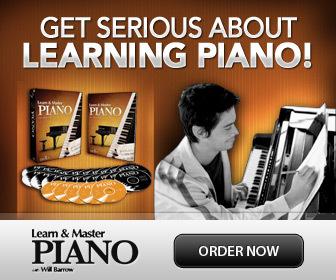 Electronic Piano Keyboards for Piano Lessons?